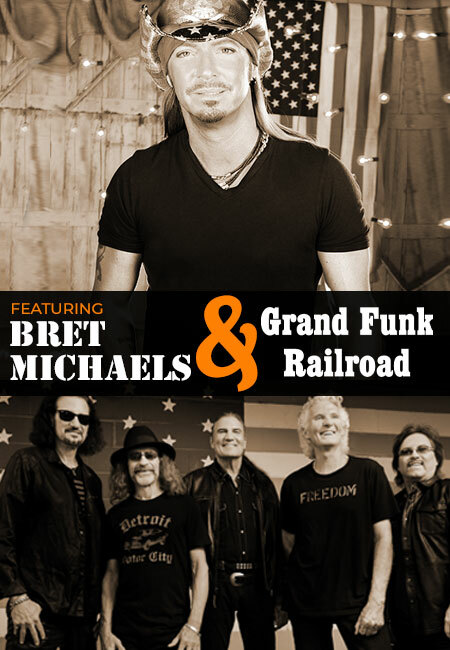 Rock icon Bret Michaels and The American Band, Grand Funk Railroad, will headline the afternoon of music. This year’s venue is Sun Valley Beach Resort in Stafford Springs, CT.
You can purchase general admission tickets online. You can also purchase general admission, reserved tent tickets and VIP tickets at the following locations: TSI Harley-Davidson, Yankee Harley-Davidson, Sheldon’s Harley-Davidson, Four Seasons by the Lake at Sun Valley or the law offices of Trantolo & Trantolo. See below for addresses and directions. General Admission Tickets are $30 each. General Admission Tickets purchased at the door will be $35 per person. Children under 12 are free. When you purchase a ticket, it is valid for the motorcycle ride and concert admission. All proceeds benefit the Muscular Dystrophy Association of Connecticut.